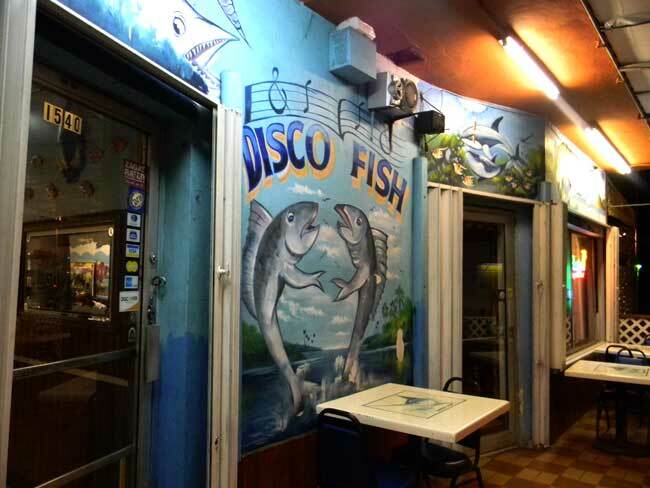 If you’re less about looks and more about substance, Disco Fish is a seafood lover’s paradise. Not to say it’s not cute; it definitely has character. There are murals of sea creatures, wood paneling, fishing nets, and “Gone Fishing” tin signs set against light blue walls. 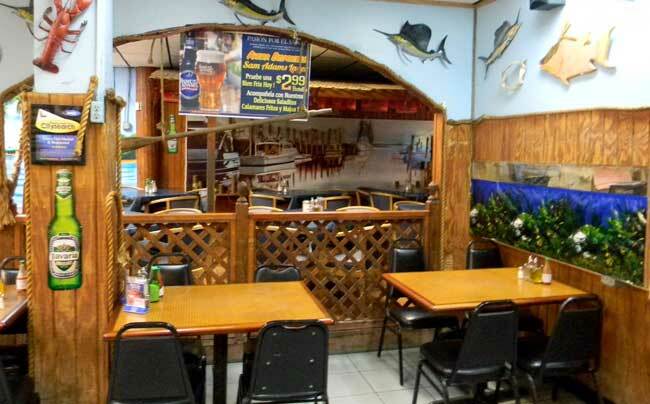 But people come eat here for the delicious, affordable Cuban-style seafood, not necessarily the charter boat décor. 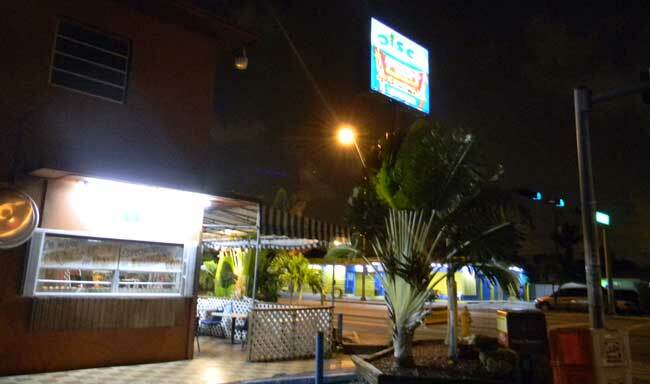 Disco Fish, located on the outskirts of Coral Gables, has some of the best seafood specials. Monday through Thursday, they have amazing lunch specials, such as Whole Fried Red Snapper, Grilled Salmon Fillet and Shrimp in Creole Sauce, served with two sides, for only $7.99! All day on Friday and Saturday, the specialties are Paella ($8.49), Squid with Rice ($5.99) and Yellow Cornmeal with Crab ($5.49). On Sunday it’s Paella for $8.49. 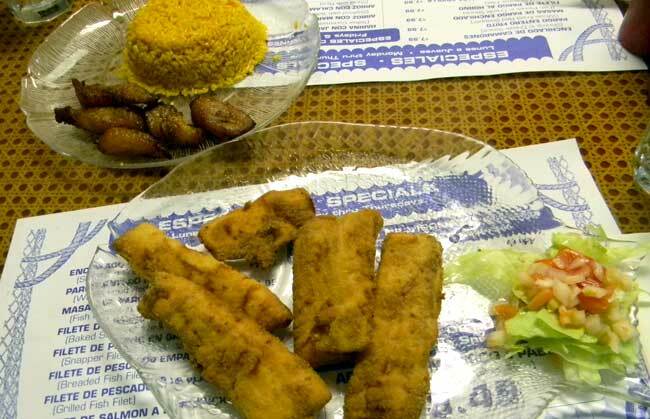 One of the best dishes on the menu is the Breaded Dolphin Fingers (Mahi Mahi) for $7.95, which comes with two sides. 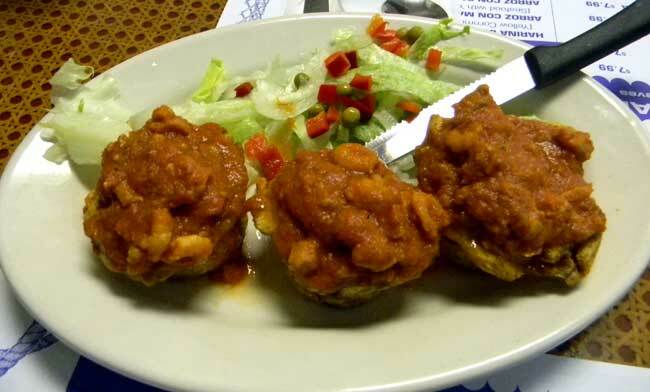 Choose from white or yellow rice; Moros (white rice and black beans mixed); baked potato; fried sweet plantains; fried green plantains; fried or boiled Yuca with mojo; mixed vegetables; or lettuce and tomato salad. 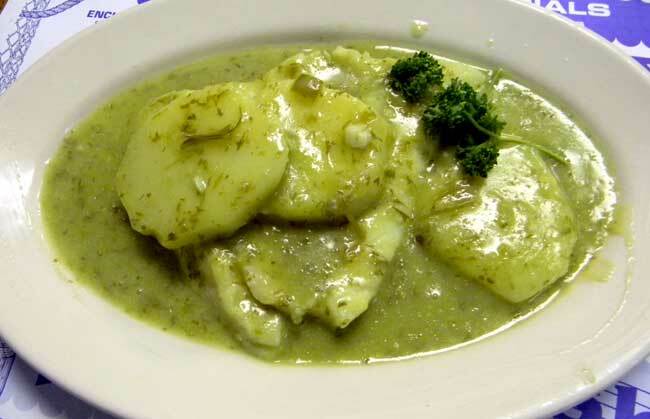 The Filet in Green Sauce ($12.95) brings boiled fish and potatoes smothered in a green sauce that is light and you can taste the fresh herbs. For this dish, you can choose any type of fish and it won’t alter the price. It also comes with two sides. Smaller bites include: Tostones (fried green plantains) stuffed with a seafood mix ($6.99); Ceviche ($6.49); Oyster Cocktail ($4.75); Fish Croquettes ($.99 each) and more. Some people just drop in to purchase fresh seafood at Disco Fish’s market. You can find great deals, such as a pound of salmon for $6.99 (current price, subject to change). So, if it’s good under the sea grub you’re after, whether it’s ready-to-eat or ready-to-cook, shimmy over to Disco Fish.